Parking Dude's mission is to educate, inform, and offer unique services to residents and visitors to help them own, operate, and park a car in the city of Hoboken, NJ. Identify what the parking rules and guidelines are for all on-street parking spots (residents, visitors, and meter parking). Avoid being tricked by confusing signage or lack of information, the app will give you all the guidelines necessary to avoid being ticketed, booted, or even towed. 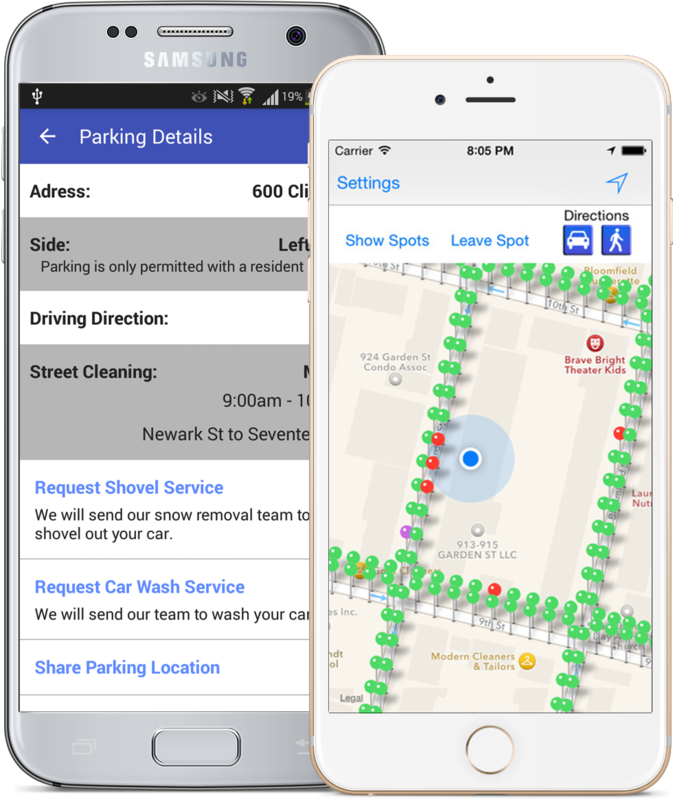 Helps a user avoid costly street cleaning and parking violation fines by alerting you the night before, the morning of, and before street cleaning occurs. Have your car shoveled out during the Winter and washed clean during the Summer by simply letting the Dude know via a button on the app. The Dude will know where the user’s car is parked and will end a street team to the car with either shovels in the Winter or soap, water, and rags in the Summer. The Parking Dude will meet you at your residence and park your car for you. He will even bring your car back to you when you need it. Why waste 30-45 minutes circling the streets to find your perfect spot, let the Parking Dude do it. Share parking location with a friend or family member via email. "Very simple and accurate app for helping visitors understand the rules and parking info. I got booted 2 years ago in Hoboken, with this app never again!" "I recently used the app to share my parking location with a friend while I was away for work. She was able to locate it and move my car and I avoided a street cleaning ticket." "This month I am proud to say that I did not get towed or received any parking ticket, because Parking Dude alerting me to move my car. Thanks Parking Dude!"